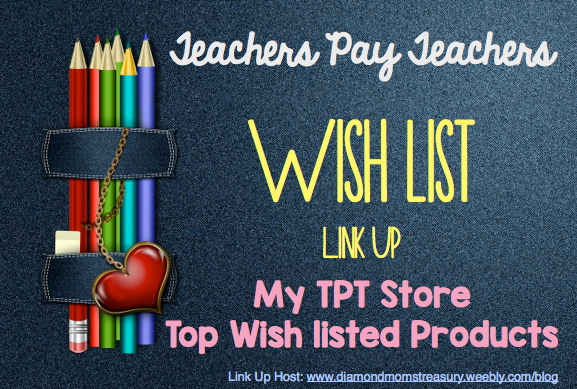 I am excited to be linking up with Diamond Moms Treasury for a link up of our most wish listed items! 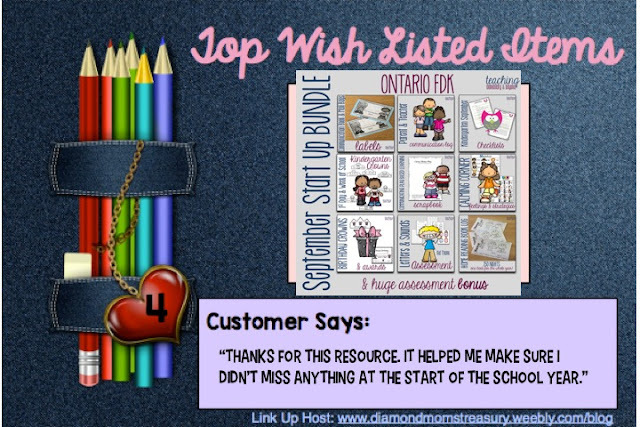 Check out some of my most wish listed items below and then head over to Diamond Moms Treasury to see some of the other wish listed in this linky. 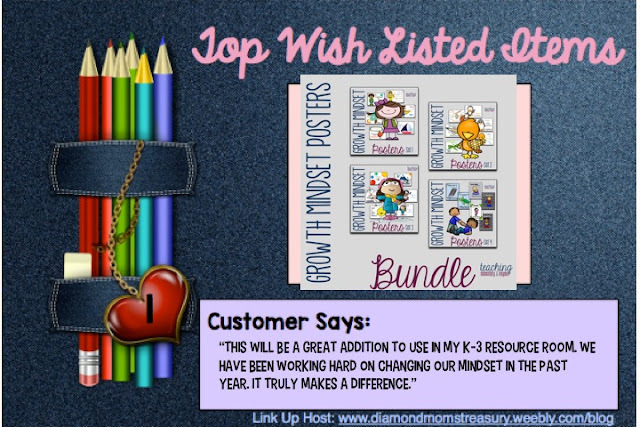 These primary growth mindset posters are an excellent way to start discussions with students about how to have and/or develop a growth mindset! Great for class discussions and a way to make a positive impression on your students. We use a calming corner in our classroom to help students learn how to regulate their behaviour and their emotions. This has been an amazing tool to help students identify their emotions and refer to when needing strategies to help them calm down. These growth mindset posters are perfect for Junior, Intermediate or Senior classes. 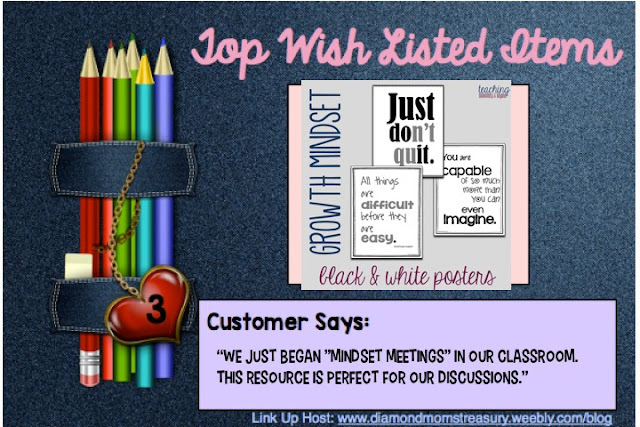 Great for inspiring class discussions on growth and providing an inspirational classroom environment. This is quickly becoming my most popular product. 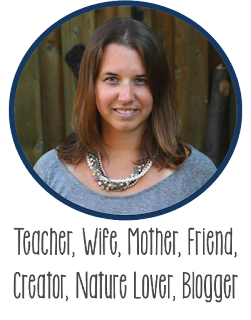 Are you new to Kindergarten? This bundle might be perfect for you! 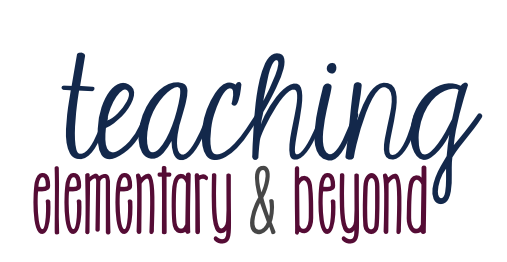 There are lots of amazing resources to help you get your classroom started. It also includes a variety of assessment files for teachers in Ontario using The Kindergarten Program, 2016.